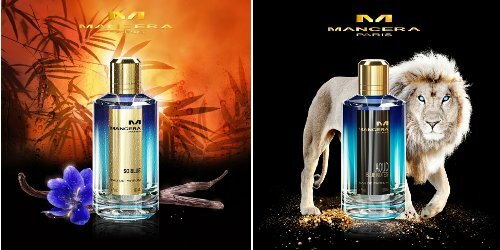 Paris-based niche line Mancera will launch So Blue and Aoud Blue Notes, two fragrances in a new Blue collection. So Blue ~ With bergamot, mandarin, lemon, fruit, hot pepper, marine steam, rose, violet, patchouli, amber, oakmoss, sandalwood, vanilla and musk. Aoud Blue Notes ~ With bergamot, mandarin, lemon, fruit and green notes, ylang ylang, violet, rose, orris, patchouli, amber, leather, sandalwood , gaïacwood and vanilla. Mancera So Blue and Aoud Blue Notes will be available in 60 or 120 ml Eau de Parfum.